I just put finishing touches to one of the late-game boss encounters and one more plot-important cut-scene, after which I moved into pre-production on a new level. The boss fight is against one of the very last ones, so I won't get into spoilerific details. I can say, however, that scripting this one was complex as heck. Not all attacks of the boss are projected directly from the boss entity itself, but from the environment by the boss entity's command. During the testing I had to beat this boss so many times I really need to take a break from it before the final gameplay balance tests. Now, when it comes to the cut-scenes, you'd be forgiven if you thought I have no more levels to work on as I keep doing these instead. That is not the case and indeed, I've just started pre-production on a brand new level, involving player-driven vehicles. This cutscene was important for many ways. For one, as an end-of-an-episode clip it wrapped up a plot thread and introduced a new game element. However, it's also important in tech way. See, thanks to the pseudo-metroidvania structure of TAGAP3, there's more to having episode-wrapping cut-scenes than just a clips that fill gaps between gameplay segments. For example; Since items Pablo acquires are important in progressing further in the game, the safest way to ensure that the player actually picks them up is to introduce them in cut-scenes. And all this has to work even if the player decides to skip the cut-scene – and no, preventing the skipping is not an option. As a player I know that nothing eats replay value more than unskippable cut-scenes. This wasn't programming rocket science, but it had to be done. It was actually an interesting logic puzzle to solve, involving both engine programming, scripting and plenty of creative thinking. In case you are new to our blog features, Backlog adventures is a spot where I highlight some of the games I've come across in my lengthier-than-lengthy backlog of previous generation titles. I've always maintained that in order to make games, you need to play them, preferably with a broad scope when it comes to genres, so each day I dedicate at least an hour to my backlog. The rest of the free time? There is no such thing, it all belongs to TAGAP! It's been quite a while since the last backlog update. Well, the quest to complete my Xbox 360 backlog before upgrading to next gen in anticipation of DOOM continues. The games I played through during the summer include (but are not limited to): Inversion, Call of Duty: Black Ops, Call of Duty: Black Ops II, Gears of War: Judgment and Mars: War Logs. Plus I replayed a through a true classic, Beyond Good & Evil. I won't go into much detail about that one, because it's one of those master-piece titles everyone should experience. It's also for almost every platform under the Sun, so there's really no excuse. From the newer games, Mars: War Logs was perhaps the most memorable. It's an independently produced role playing game that takes plenty of cues from Mass Effect. Sure, it lacks the Reaper-sized budget of the Bioware behemoths, but it has plenty of soul and one of the most interesting sci-fi war settings I've seen lately. In fact, right around the time I finished the game, a sequel was announced – and I'm delighted. Mars: War Logs might be really, really rough around some corners, but it's definitely a unique diamond worth checking out. Gears of War: Judgment also deserves surprise praise, as it turns the dial back, making the game again about desperate and intimate battles with underground monsters. You know, much like the first Gears, before it became a spectacle shooter where using cover didn't matter much. I also really liked the 'declassification' element of the storytelling, allowing the player to apply game-toughening 'mutators' into the levels for extra challenge and rewards. While I'm not too fond of the Angry Birds styled star-ratings for the combat sections, the fact that the game co-stars Cole Train is always great! To my surprise I also have to give some praise for the Black Ops single player campaigns. They are simple, ADHD fun, but with surprisingly good stories. No, really, I was genuinely surprised how well written the two games were and how they tied together. They are no Metal Gears, definitely, but for dumb, quick action romps they work really well. Heck, I'm pretty sure some scenes in Black Ops II are self-aware parody worthy of appearing in Duty Calls – or at least I hope they are, and not something intended to be taken seriously. That sort of sums up Black Ops II, by the way; It feels like the setting and characters have been written super-seriously, but the game approaches it like an 80s action hero, hamming things up, often going very over-the-top. Admiral Briggs, for example, is such a brilliant caricature of a mission-barking videogame commander that both the devs and actor Tony Todd simply had to have tongues in their cheeks whilst doing all this. The campaigns are still criminally short, but these days these game are in the bargain bins, so it's all good even to us who don't care for multiplayer. To sum up Black Ops single player experience; It's not the way I prefer my first person shooters, but for what they are, they are insanely well produced and nice diversions. And also perfect for summer heat when you feel as if your brain is melting away. So, what the heck is a futurelog? Well, it's what I call games I've already earmarked as either 'to-buy' or 'pre-ordered'. What makes this a 'log' akin to backlog is the fact that these games are for current machines – which I've yet to purchase. You see, I plan to complete my backlog by the new year, allowing me to move forward to a new system – and these titles. And then I have a couple of months to get used to the new controllers and all that before DOOM arrives. I'm bringing this up now because the very first game from this 'future-log' is about to be released in a couple of days – and that is LEGO Dimensions. Granted, it would've been available for the systems I already have – the older generation – but since this is an ongoing thing we're talking about here, going next gen made more sense. Especially since the starter pack is rather expensive, preventing a double-purchase. Don't get me wrong, it's practically a steal considering the amount of stuff it ships with, but getting two starter packs would wreck the TAGAP budget. It's pretty exciting, really; Moving to next gen is no longer 'closer to the release of DOOM' but in a couple of months. And even though it'll be a while before I can actually get to play LEGO Dimensions, at least I can play with them LEGOs in the meantime! Also, I'm pretty happy with my decision to wait a couple of years before moving on this time around. Instead of launch draught, there are plenty of games to release from these days – I can't wait to get my hands on Wolfenstein: New Blood, for instance. 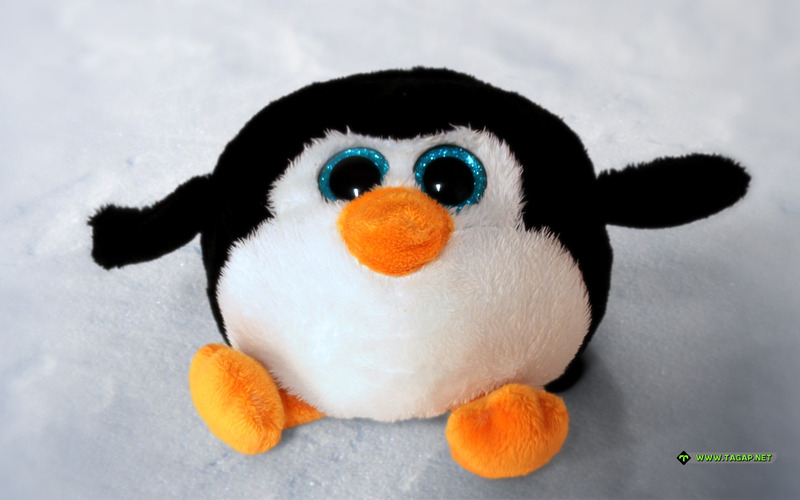 On a closing note; We recently had another grand plush penguin photo-shoot. This means there are plenty of new wallpapers on the way – one is out already – so if you're a fan of our silly penguin desktops, you can look forward to more of those! I think that's it for this progress update.